Carol was born near Houston, Texas. She began riding at a young age and began barrel racing in her teens. After competing in high school rodeos, she attended Sam Houston State University and was a member of the NIRA Championship Girl’s Team of 1965. She continued to compete in barrel racing on a limited basis over the next 20 years as she helped run a business and raise a son. 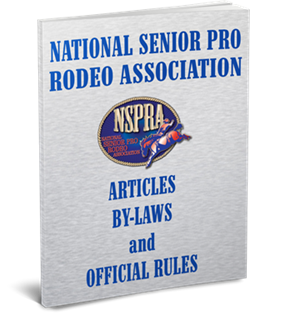 She then joined the Texas Senior Pro Rodeo Association and was later able to compete in the NSPRA. Carol served as the Ribbon Roping Director for 4 years. During her terms on the board, she developed a policy and procedure manual for the NSPRA and served as chairman of the finance committee. In addition she served as chairman for the rules committee and was instrumental in updating our current rule book. Carol won the barrel racing finals average in 1997 and 1999 and the 50’s Barrel Racing Championship for the years 2000-2004. Other titles include Championships in Ribbon Running in 2002 and 2003, and All Around 5 times in 2000-2004. Carol thanks Arlyn Simms for his encouragement and support and gives credit to Ed and Martha Wright for their help with the training of her barrel horses.